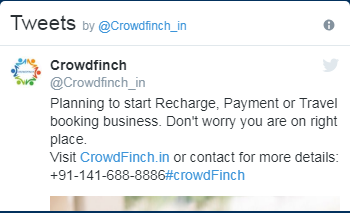 Crowdfinch provides all network recharge services with maximum commission on minimum investment. Crowdfinch is a B2B portal which various API services. Join Crowdfich for complete travel booking solution with Flight booking, Bus booking, and Hotel booking. We develop travel software as per your business module or suitability. Softwares are like an innovation center for service sharing industry. Web programs and software interchange information by cloud and internet. Software and program which is custom develop provide API to minimize development cost and time and cut down errors. As the time passes many organizations start using API to get error free fast results. Now it’s become a vital tool for every industry to minimize their marketing budget also. API enable software companies grow their business faster than others. Most of organization is learning software and API to transform business process. In general with Software and API, companies have good opportunity to grow their business. 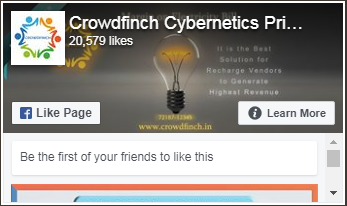 Crowdfinch is best API and software service provider. We provide Development service and API integrations with API documentations like Mobile Recharge API, Travel Booking API, Air Ticket Booking API, and Hotel Booking API, Money Transfer API, Electricity Bill Payment API. Software and API is a quick way of transferring information between platforms. If you are in need for such services for your projects, you can always let us know and we will do the needful.